The Cougar Bar Chair by Zuo Modern offers an updated take on the classic soda fountain stool. 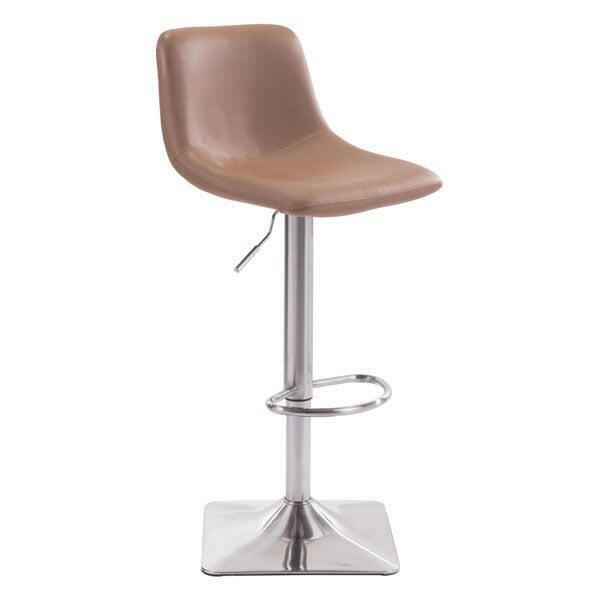 This simple stool will provide desirable comfort and upscale style to your kitchen or bar area. The soft, molded seat is upholstered in taupe faux leather and features an understated seam detail. The seat rests upon a chrome column with a convenient foot rest. The Cougar Bar Chair is adjustable as well; simply use the easy to reach lever located underneath the seat to accommodate bar or counter heights. 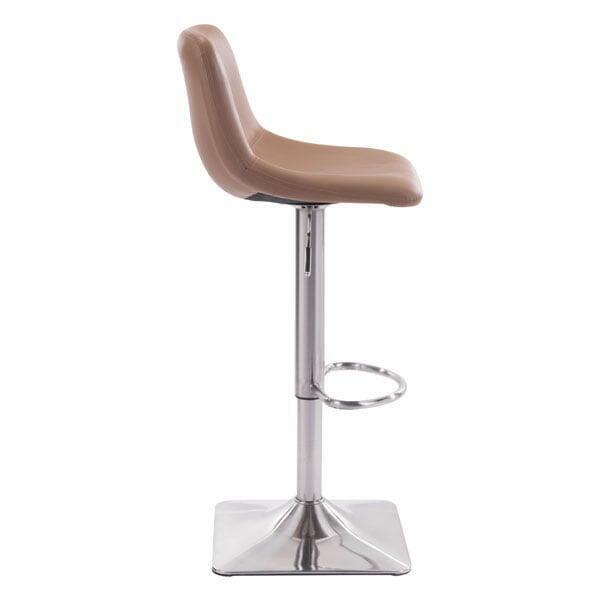 This attractive barstool is also available in white leatherette version.